In May, Severus and Lily joined us on holiday in France. Of course this seemed the obvious thing to do, wanting to travel and explore more, and packing the pooches where ever we go. 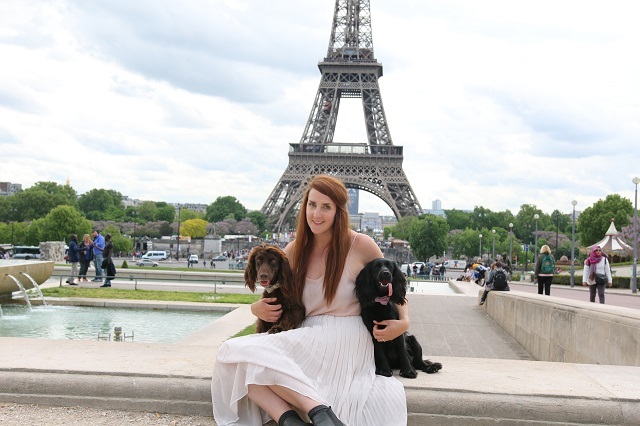 Looking into travelling abroad with a pet, searching blogs, talking to friends who had already done it and sharing our thoughts and tips on it too. France seemed the perfect place to start, and although there are still have many places on the lust list to visit, within the UK, travelling overseas makes it feel a little more holiday like. 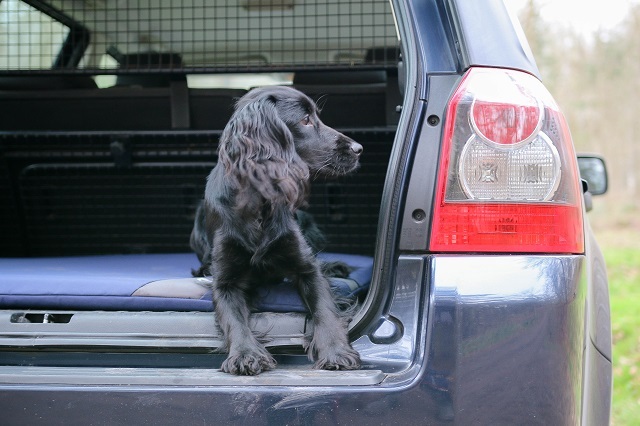 Having a reliable and secure car will help on the journey, Severus and Lily both stay in the boot of our Land Rover with a cosy bed and blankets if travelling over night. The car is perfect to load everything up [including the dogs] and be on our way. After researching the best way to travel abroad with your pet, to France, the euro tunnel seemed to come out most positive. With dedicated pet exercise areas on both sides on the tunnel, great information online and even more when booked as well as the short cross over time and the dogs being able to stay in the car without any issues. It's certainly the way we'd travel again and much recommended by Sev & Lily too. 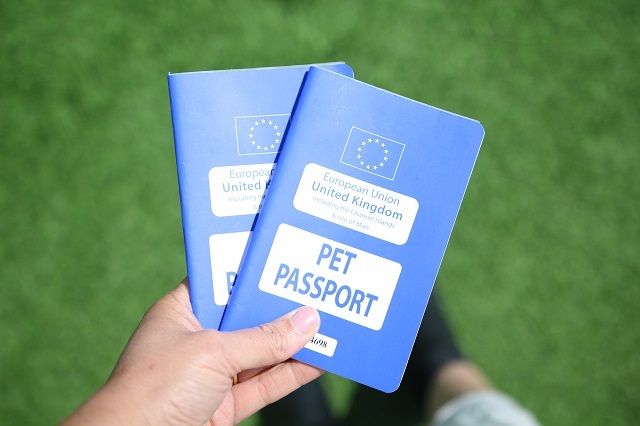 The Vet checks and passport needed are actually to come back to the UK, and it's on the French side [when coming home] that the dogs passport will be checked and confirmed. Have tapeworm treatment 24-120 hours before bringing your dog back to the UK. Meaning if you're going for a short trip then a Vet here can do it, any longer than 5 days means having to go to a foreign Vet for this. Severus and Lily had their tapeworm treatment the morning we left, on the way to Folkestone. A quick stop off at the Vet, a stamp in the passport and a tablet eaten, we were good to go. When travelling home, in France, the pet reception is easily located with many signs and information on your booking confirmation too. The whole process was quick and easy with a look through their passports and a scan of the microchip. At busier times the drive through pet reception opens, meaning it's even quicker and easier to get your dog booked in and everyone on the way home. 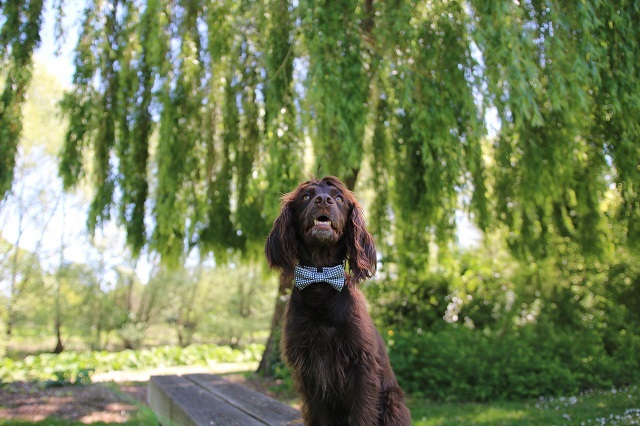 As most dog friendly stays, we have booked through Pets Pyjamas who have a lot of properties both in the UK and overseas. 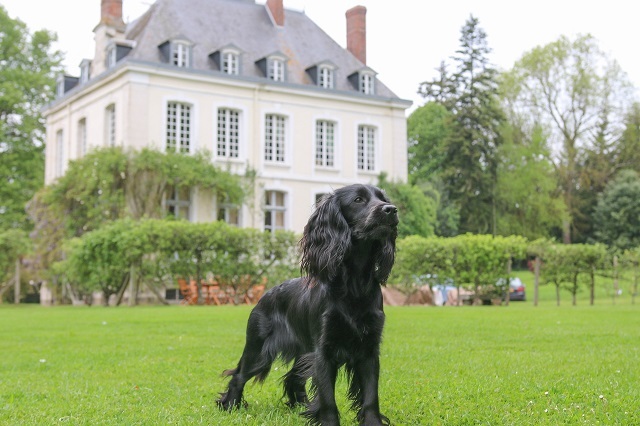 The Gite where we stayed has pretty gardens, and the owners even have spaniels them self. The small 1 bed self catering cottage that is picture perfect, allowed us to explore Normandy and all the dog friendly places it has to offer. 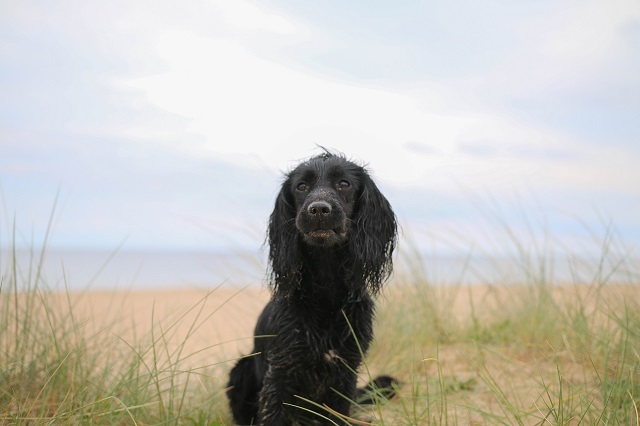 Researching dog friendly days out, places to visit and things to do will really help the holiday run a lot smoother. Worrying about where your dog is allowed to join you isn't the best way to relax and enjoy time with the pooches. Before travelling abroad with your pet it's always a great idea to make a list of places that are dog friendly and things you'd like to do while on your adventure. As well as visiting dog friendly beaches in Normandy, and walking the almost empty beautiful seaside there were many towns and villages to explore where we stayed too. Travelling abroad with Sev and Lily was certainly a new adventure and has opened up a lot of ideas and for different Cities and Countries in the future. Travelling with dogs is really important to and we love sharing travel diaries and helping others find the best dog friendly places to stay and explore.